In November of 2016, Los Angeles County made history. A whopping 72 percent of voters approved Measure M, a sales tax measure set to generate $120 billion over 40 years to expand rail, rapid bus, and bike networks. With it, the L.A. Metropolitan Transportation Authority promised to “ease traffic congestion” and “transform transportation” across the region. But that promise is likely to remain unmet, judging by history. Between 1980 and 2016, L.A. passed three major transit sales tax measures and built 110 miles of rail. Yet ridership on L.A.’s transit system has been slipping for years, while the number of miles traveled in private cars is rising. Other American cities that have passed major transit measures are facing the same conundrum. Which is? Voters might love transit, but that doesn’t mean they plan to ride it. And transit agencies that appeal to voters with pledges to solve traffic woes might be digging themselves into a hole. If you build it will they take it? No unless they are desperate these days. Riders who can are choosing other methods to get around, claiming the public options are unreliable, dirty, dangerous and unaccessible for those who need it most. In order to increase capacity and “cut costs” transit officials are removing bus stops and bus seats, against the will of the public who is supposed to take them. The riders and drivers are ignored so they are both leaving in large numbers. The city’s Better Market Street project is intended to improve safety and transportation quality on the 2.2-mile stretch of Market Street that runs from Steuart Street (near the Embarcadero) to Octavia Boulevard. In order to move the project to its next phase, the Planning Department has now released a draft environmental impact report, with more insights into how the city plans to alter the streetscape on Market. 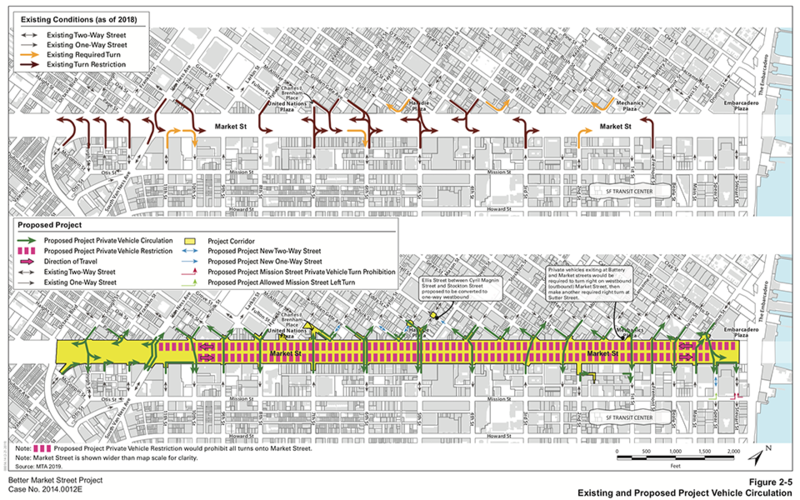 As we previously reported, the Better Market Street plan would restrict all private automotive traffic on Market Street from Steuart Street to Van Ness Avenue (westbound) and 10th Street to Main Street (eastbound). That would include ride-hailing cars from services like Uber and Lyft. In place of private auto traffic, the plan proposes new sidewalk-level bikeways in each direction on Market, spaced between pedestrian walkways and centered transit stops and boarding islands. 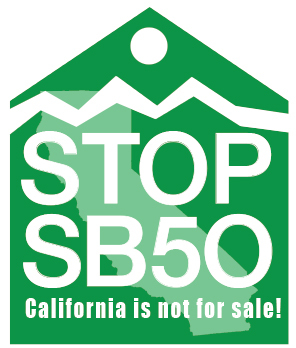 Members of the public can submit comments via mail to SF Planning’s Chris Thomas at 1650 Mission Street, Suite 400, San Francisco, CA 94103 or by sending an email to christopher.thomas. Comments will be accepted until April 15. The merchants, if there are any left, may want to say something about this plan that is clearly not concerned with their needs. The dragon is breathing down the neck of everyone who is still standing. We hope that someone will conduct a study to find out which businesses are surviving and which are dying, along with the employees and customers who are leaving our bedroom community behind. We wonder how the city will deal with a real large disaster when there is no exit plan and electric vehicles will be stalled on their tracks.